Vegetarian meatballs will satisfy any non-meat eater! Before I met my husband, I wasn’t much of a bean eater. It wasn’t that they didn’t appeal to me, but rather that I didn’t grow up eating a lot of Mexican food or other cuisines that might include the protein- and fiber-packed morsels. Everything changed when my husband ordered some black bean soup at a restaurant just a few blocks away from our New York City apartment. This wasn’t just any black bean soup – nope, this one was garnished with crispy chorizo sausage. I was a goner. You couldn’t stop me – cannellini beans in salads, kidney beans in chili, black beans in veggie burgers. You name it, I cooked it. As a result, my kids loved beans right from the get-go and we incorporate the healthy legumes into many of our meals. When I heard that this round of Kitchen Play’s SideCar series was to feature Bush’s Beans in a meal that would satisfy the whole family, I knew I had this one in the bag. The hardest part was choosing which type of beans I would use. I started thinking of comfort foods, dishes that my family likes to eat as the thermostat drops and the days grow shorter. Spaghetti and meatballs popped to mind immediately and, as we are trying to work more meatless meals into our weekly menu, it seemed fitting to make a vegetarian version. When I think of oregano, garlic and parsley, I turn right to cannellini beans. In this recipe, I pureed the cannellini beans with roasted red peppers and then combined them with all of the regular meatballs ingredients, such as breadcrumbs and an egg. Baked in the oven and then simmered in tomato sauce, these bean “meatballs” are as healthy as they are tasty. and let it simmer until done. I truly use this pan at least 4 times per week. Now, don’t expect the “meatballs” to have the same texture as versions made with ground beef or turkey. These ones have a soft texture, with a golden brown coating. They are substantial and hearty, and made me fall in love with the versatility of beans all over again. 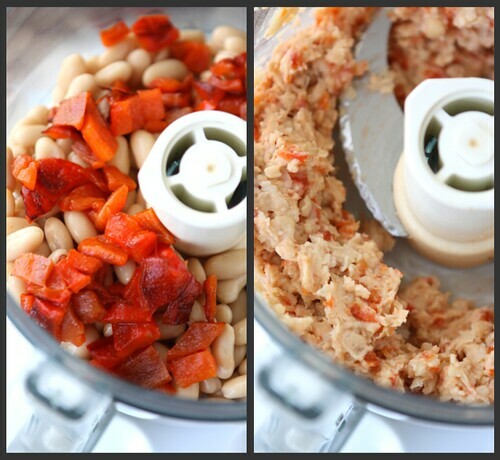 In the bowl of a food processor, combine beans and roasted red peppers. Pulse until chopped, but not smoothly pureed.
. This thing is amazing! NOTE: Take care not to overprocess the “meatballs”. This could cause them to fall apart later. 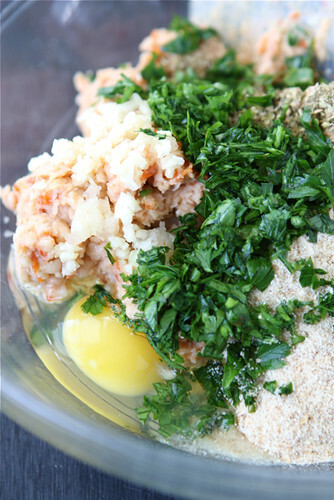 Transfer the mixture to a medium-sized bowl and stir in grated onion, garlic, parsley, oregano, egg, breadcrumbs, salt and pepper until well combined. The amount of breadcrumbs required can change depending on the climate (dry vs. humid). If you find that the “meatballs” are not holding together firmly as you are shaping the first few, add more breadcrumbs, then reshape. Using a rounded 2 tablespoon portion of the bean mixture, form “meatballs” by rolling between the palms of your hands. 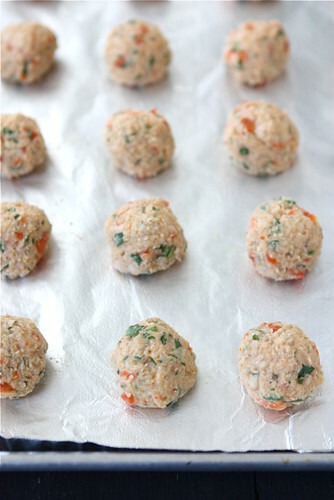 Place the “meatballs” on the prepared baking sheet, spacing evenly. 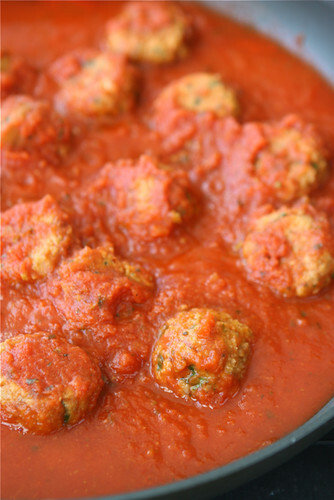 Bake until the meatballs are firm to the touch and have developed a light golden brown coating, 15 to 20 minutes. In a large saucepan, heat your favorite marinara sauce over medium heat until simmering. Add “meatballs” and stir to coat. Simmer until the sauce thickens slightly, stirring occasionally, 10 to 15 minutes. Serve over spaghetti. In a large saucepan, heat you favorite marinara sauce over medium heat until simmering. Add “meatballs” and stir to coat. Simmer until the sauce thickens slightly, stirring occasionally, 10 to 15 minutes. Serve over spaghetti and top with grated Parmesan cheese. Note: The amount of breadcrumbs required can change depending on the climate (dry vs. humid). If you find that the "meatballs" are not holding together firmly as you are shaping the first few, add more breadcrumbs, then reshape. Disclosure: This post is sponsored by Bush’s Beans. All opinions are my own. I am a participant in the Amazon Services LLC Associates Program, an affiliate advertising program designed to provide a means for me to earn fees by linking to Amazon.com and affiliated sites. love the sound of this because i love beans! Thanks, Jessica. We love beans, too and try to incorporate them into meals several times each week. This is right up my alley! My bean-ball alley. Thanks, Bev. The “bean-balls” were a hit with my family. These sound so good. I love white beans but I’ve never made anything like this …can’t wait to give these a try! Thanks, Winnie. I hope you have a chance to try it! Beans are a staple in my grad student budget. I love this idea! Thanks, Katie. You really can’t beat the price of beans. You certainly get a nutritional bang for your buck. These look delicious, think I can fool my husband into thinking they have meat in them? Probably not–but I’m saving this one for next time he is gone! It might be a stretch, but maybe he’ll be surprised and enjoy them. Like you I was never into beans because I never ate them growing up. Rachel introduced me to them in Mexican food and chili and I’ve slowly come around. These look good. I would try them! Thanks, Chris. It’s always nice to have some non-meat options for healthy family meals. I love this one! I want to make it for my vegetarian friends!! Thank you! I hope you and your friends enjoy it. Thanks, Jenny. While they don’t have the same texture or taste as regular meatballs, they are very heart and satisfying. What a fantastic idea…never thought of this! Can’t wait to try it. Thank you, Brandie. I hope you have a chance to try it. I find myself drawn to more and more vegetarian dishes as time goes on, so these are right up my alley. 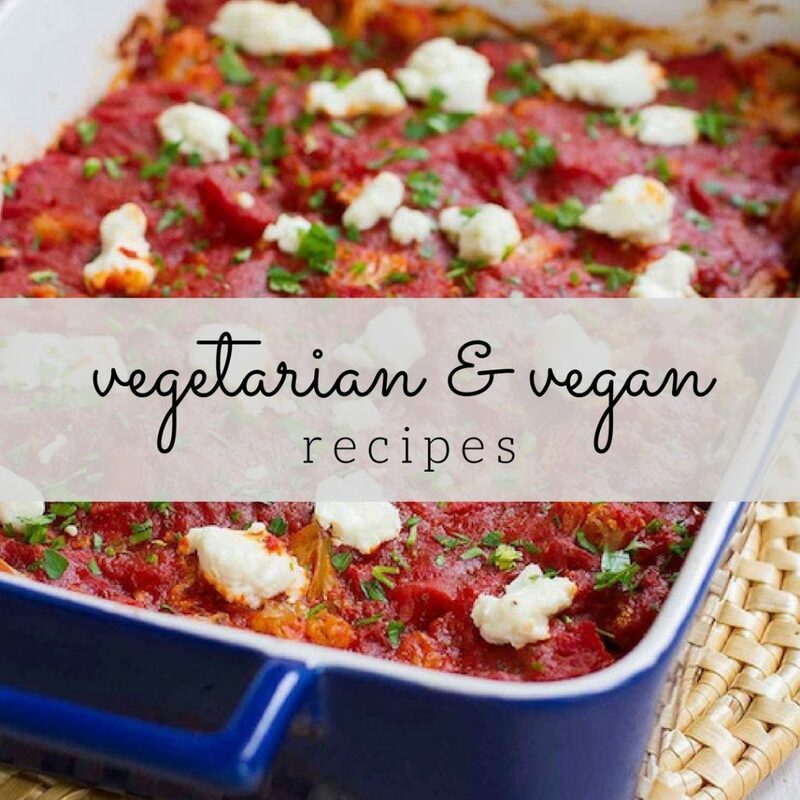 I’m with you – vegetarian recipes are starting to fill up our menus and it’s nice to have some variety. Great tip! I have had trouble getting bean/grains to stick together like this, so going to follow this one. Thanks, Belinda. I hope they work out well for you! My least favorite part of New York is their lack of great Mexican food. I will admit though that the black bean soup with chorizo sounds amazing. I do live the creativeness of these meatballs! 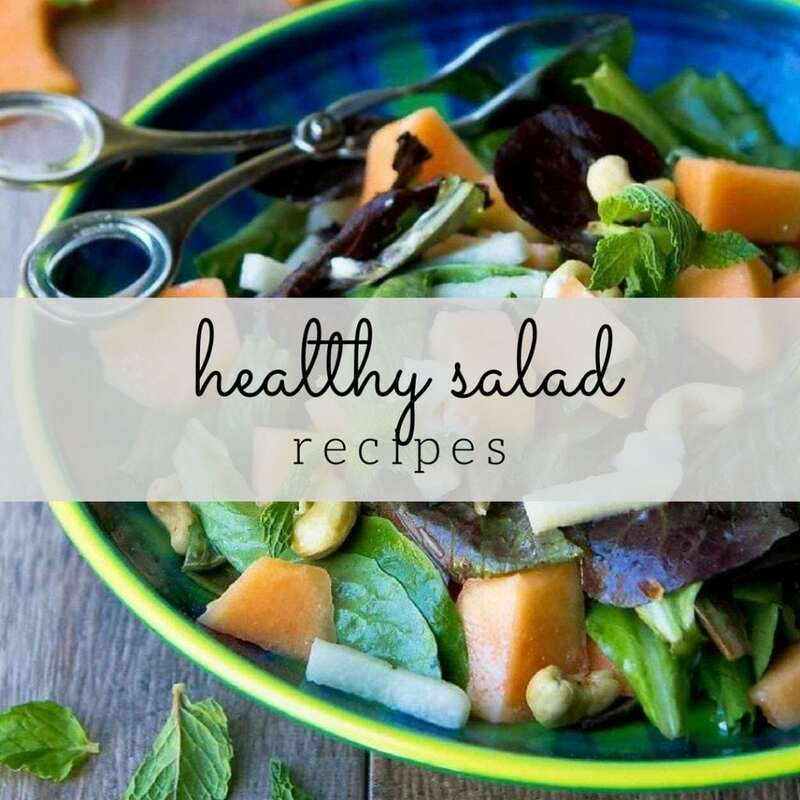 Another great healthy recipe!! So true, Kelley. We found a couple of good spots while we were living there, but we had to search. I’m a big fan of ‘bean’ balls. I use lentils and lots of Italian herb mix and I’ve fooled many meat-eaters! Lentils would be great in “bean balls”. I’ll have to give that a try. That looks so fantastic. We love love love black beans at our house. Not always, but hey better late than never right! Thank you! Black beans are a big hit here, too and my kids are coming to appreciate other types, too. This idea is brilliant! And that top photo is gorgeous! Thanks so much, Lauren. I had fun shooting these and was happy to see how much they looked like regular meatballs. Oh wow! Kept seeing stuff on twitter about these so I had to come over and check them out. What a creative way of using the baked beans! Thank you, Carolyn. I had fun coming up with this one. Great recipe! We love beans too…especially the 2 little ones (age 4 and 21 months). Going to bookmark this one and will try with cilantro instead of parsley since that is what I always have on hand! Thanks, Asiya. Cilantro would be great in these, too. I hope you and your little ones enjoy them. I wish you could! We need to live closer. Thanks, Sarah. It was a fun one to dream up. This sounds wonderful, Dara! I’ve never been a big fan of beans either…lately, though, I’ve been eating a lot of burgers made from beans and I love them. I’m sure these would be great too and I know my meat-loving husband would go for these flavors! Cassie, we eat a lot of bean-based burgers and patties too. The flavor is great and they are often so satisfying and filling. I LOVE the idea of meatless balls! These look so good too. I wonder how they’d be in a meatball sub. Sarah, I think these would work really well. I’m actually tempted to try them in a lettuce wrap with some sort of fruit-based relish. These are awesome! Can’t wait to make them! Thanks, Maria. They make a wonderful vegetarian meal. Wow these sound interesting. They look incredible and I do believe I need to give them a try. Never made a meatball out of beans! Nichol, it was a first for me too and I was very pleasantly surprised. What a fantastic way to use those canellini beans, Dara! I’m giving this one a go very soon and betting that everyone at the table will love it. LOVE this! Thanks for making a veggie friendly dish Dara. These are my favorite kind of the posts that you do. Love the idea of bean “meatballs.” I wouldn’t think they would hold together in a sauce, but they look like they are very firm. Lovely photos! This is such a creative use of cannellini beans. You are brilliant! Fantastic! I am definitely making these! I might use Bush’s Great Northern Beans, or even…..even…..how about garbanzos? THANK YOU for this recipe! I always try to incorporate one vegetarian meal a week, which is hard to pawn off on my meat-loving husband. These creative little “meat” balls may be just the trick. 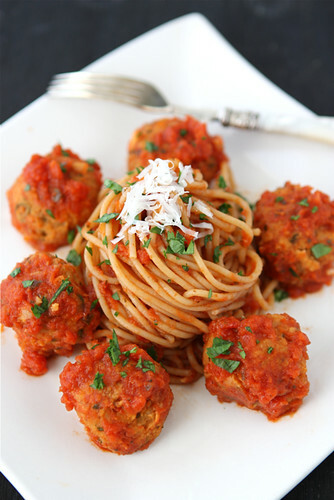 Love how you made the meatless meatballs….or maybe beanballs…the consistency is just perfect. Looks delicious. That’s my kind of meal. I love just abut any kind of beans also. Especially black beans and cannellini beans. This looks amazing. 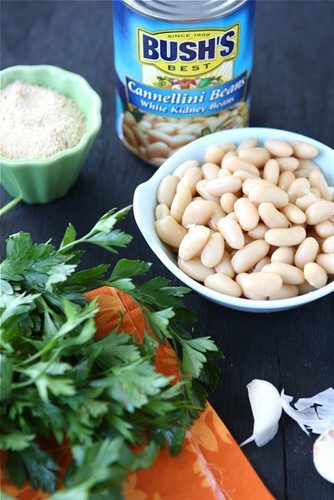 I’ve never had cannellini beans before but would love to give them a try in this recipe. YUM!!!! and what a show stopping photo!! These sound great! In an effort to incorporate more veg and beans in our meals I have tried making black bean burgers but they didn’t turn out the way I wanted them to. Can’t wait to try your bean balls now. I don’t own a food processor or blender but surely I could just mash the beans with a fork and chop the peppers really fine? Omgoodness these look so good. I must try these out. We just started doing more meatless meals. It’s fun to see what you can do without it. These look so much like the real thing I can’t even tell they are meatless. Great recipe. OH MY. Sweet Ryan is going to be in heaven when I make these for him. I wish I hadn’t already started dinner. I can’t wait to make and share this with him. Thank you for this lovely post. It was a nice way to end my day. I hope you are having a wonderful week! YUM! this looks amazing, thanks for sharing this recipe, now I have more vegetarian recipes to pull out when cooking for vegetarian friends!! great photos btw! Wow! This looks absolutely delicious. I love how you plated it with the meatballs on the sides and the noodles all curled in the middle. 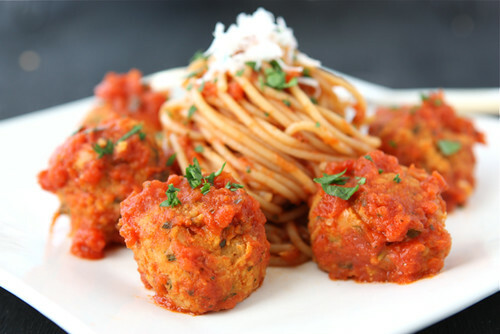 What a great option – vegetarian meatballs. Thanks for the good idea. These look fantastic, I can’t wait to try them! I came to beans later in life. My father didn’t like them so my mother didn’t make them. Now I am a bean fiend! I love this – especially with the roasted red pepper. Just perfect! Flax seeds and water or Chia seeds and water work amazing as an egg substitute when you need a binder! Thanks Shanny and Brian for the question and answer on the egg substitute I was scrolling through the comments to see if anyone else asked about that and there you both were. And of course, thank you Dara for this recipe. It looks delish! Can’t wait to try it! I really love beans now too. And goodness — this looks amazingly delicious!! I have all of the ingredients in my cupboard – I wonder if I printed this before and that’s why. Either way, this time I’m making them! My 4 year old recently went vegetarian (her choice; we are supportive), so she was a bit sad to say goodbye to spaghetti with meatballs. these will be a huge hit with her I am sure (and me too!). She loves all sorts of beans and she loves balls. I’ve made lentil balls previously, but I think the lighter flavour of the canelli beans will be nice. Bean balls……I like Dara. The look of these would fool any meat lover! Great twist on a classic. As good as it gets Dara…these are just awesome. That first picture is calling my name. Wonderful!! Great idea for a meatless dinner! Love beans and can’t wait to try your veggie “meatballs”. looks amazing!! Can these be frozen? In the sauce or on their own? Jill, I haven’t tried freezing these, so I can’t tell you for certain one way or another. That being said, I have had success freezing black bean burgers, so these will probably behave similarly. Hey- I saw a photo of your food here: http://www.sparkpeople.com/mypage_public_journal_individual.asp?blog_id=4588814 without a link back to you! I thought your stuff was All Rights Reserved? Or it is Creative Commons? oh this looks interesting, and yummy besides! Love the way you dished it up! Looks so pretty! I’m not sure what I did wrong. . I left the bean-balls in the oven for 20 minutes, but they fell apart when I simmered them in the sauce. They did, however, smell delicious. A few of mine started to fall apart but I quickly realized I was cooking them on too high a temp. As soon as I turned the temp down……pretty low (the temp at which I simmer rice) the problem was fixed. Happy New Year! Thank you for this recipe. I made it for some friends at a NYE dinner both vegetarian and omnivore alike and they all loved it! I didn’t have cannelloni beans on hand so I used black beans and chick peas together. Everything else I kept the same and I cannot wait to try the recipe as written. Thank you for this wonderful recipe (again). The photo was stunning. I can’t eat meat – so here I am! I cannot wait to make these. You didn’t say in the post whether you liked them or not. They sounded like they might be dry reading how you baked them until brown… but, then one of your comments said they were a family hit. They are certainly easy enough to make – so, I am IN! HI Valerie, I don’t put anything on my blog that I don’t like (I don’t want anyone else to waste their time reading about/making something that didn’t work for me. 🙂 So yes, I am a fan of these vegetarian meatballs. I hope you enjoy them, too. Tried these and LOVED them. LOVED. Better yet, they received an A+ from the Suspicious-Of-Vegetarian-Food-Carnivore here, so I’ll definitely be making these again, thank you! Shasta, I’m so glad! It’s always a tough job to convince a carnivore that meals without meat can be satisfying too, but it sounds as though you did it. I’m glad I could help. The first time I made these, I followed the recipe exactly and really liked them. But the second time I made them, I used half black beans and half cannellini beans. I also added sundried tomatoes and some sauteed shitaki mushrooms which helped make these taste a little more “meaty”. I put a bit of Parmigiano-Reggiano cheese mixed in to the meatball mixture as well. DEEELISH! Michael, I love that you added more ingredients to suit your taste buds. Shiitake mushrooms and sundried tomatoes? That sounds like heaven to me! It really, really was good! I had them for dinner Wednesday night when I made them, then for lunch on Thursday, and for dinner again last night! YUM! Now I know – I shouldn’t troll Pinterest when I’m hungry. These look AMAZING!! Thanks for posting! I wonder how they’d be with other beans…maybe black beans and cilantro? Just got done making and eating this! It turned out so well! My husband is a meat person and was hesitant, but loves it too! This is definitely a recipe I will be making again! Lyndsey, I’m so glad! I always love when a meat-lover ends up really enjoying a meatless meal. I came across this recipe on Pinterest and made it tonight – amazing! I’m vegetarian but even my meat lover husband liked these. I’m already thinking about a toasted “meatball” sandwich with the leftovers for lunch tomorrow. These meatballs were really something special. I tried them with a square of mozzarella folded into the middle of each one and the cheese explosion was awesome. The meatballs themselves were just delicious. Out of all of the vegetarian meatball recipes I’ve seen, these were the only one to incorporate the red pepper like that. It really added a depth of flavor and umami. Thanks for a great recipe. P.S. For anyone who found that the meatballs fell apart, you may have processed the beans and red pepper a bit too finely in the food processor. I used this as a base for a vegan, Italian Meatball recipe (substituted silken tofu for the egg – added pine nuts, pumpkin seeds, Spinach, Italian herbs) and it worked beautifully. Thanks!!! Of all the things I could find zipping around the world wide web I found this and I am so excited. We are trying new dishes out in two weeks after our little at home veggie boot camp and beans are a real tough one for my son. I think this might work if I add something that resembles a little the spices in pizza. Think I must be the only person that actually MADE this, because these fell apart as soon as they hit the marinara sauce…..awful mess and only mediocre taste….sorry Cooking Canuck, but maybe I missed something? Thought I followed the recipe exactly. Well, I can’t say that I appreciated the way that you phrased your comment. However, I am sorry that the “meatballs” didn’t meet your expectations. As you can see from the comments section, several people actually did make these and were very pleased. One reader did make an astute comment, reminding everyone to take care not to overprocess the beans, which could cause them to fall apart (I retroactively included this in the post). You may also want to try adding additional breadcrumbs. I find that different climates (dry vs. humid) can effect how many breadcrumbs are needed. If you find that the “meatballs” are not holding together firmly as you shape them, add additional breadcrumbs. Just wanted to say that mine held up great in the crockpot and sauce. I baked them yesterday and let them cool. The I refrigerated them until this afternoon. Placed them in the crockpot with my marinara sauce on low for about 2 hours before serving. Everyone asked for the recipe because the other “bean ball” recipes they have tried wouldn’t stay firm. Maybe it was the increased breadcrumbs that helped mine, who knows. But they were definitely well received by my vegetarian and health-conscious friends…as well as a few of the kiddos! I just made these! Not a huge fan of roasted peppers, so I left them out & instead used 1 can of cannelini beans and 1 can of red kidney beans. The rest of the recipe I did as your described– they came out SOO good! Thanks for this! My dad is allergic to peppers so is I was wondering if this would work without them or is there and alternative to the red peppers that I could use? Hi Loralyn, you could either leave them out or substitute with some chopped sun-dried tomatoes. I hope you enjoy them! Thanks for the fabulous recipe! Quick, easy, and tasty. My picky husband loved it. I just made these for the first time, and they were great. My husband is from Italy and turned vegetarian several years ago. He loved these. I cooked them in a store bought sauce since I didn’t have time to make one from scratch, and they tasted delicious. I don’t think a meat eater could tell the difference. Maybe he/she would think they were chicken instead of meat, but I don’t think you’d ever know they were bean meatballs. Thanks so much for posting this recipe. It’s a low-calorie, healthy recipe that is also delicious. Also, thanks for the tip about the breadcrumbs. I live in central Florida and had to use a bit more. Do you think these could be frozen? How would that be done? These are great! Making them tonight 🙂 Thanks for sharing this recipe! Really loved this idea! I tried this reciepe tonight while making regular meatballs for my meat-loving boyfriend. They were really delicious bt feel apart in the sauce : (. Any suggeations?!?!? Would love to try them again! Chanda, one more note. Also take care not to overprocess the “meatballs” in the food processor. This could cause them to fall apart later. Pinned this recipe some time ago and finally got around to making them tonight. I thought they were a little too moist when I formed them. I should have followed my gut and added some more breadcrumbs. Some of them fell apart in the sauce, but many did not. They taste very good. I will definitely make them again. I haven’t eaten beef in a year and so it is FUN to have spaghetti and meatballs again! Thanks for a keeper. These are in the oven right now! Smell wonderful….can’t wait for dinner! Just made these to have some meals for the week and taste tested one — amazing! SO flavorful (even without the fresh parsley) and can’t wait to pair it with pasta and sauce this week. Thanks! This looks absolutely beautiful. I love to make those “meatballs” from chickpeas but I defintely have to give your recipe a try! Thanks for such a great recipe! I made it tonight and it was a big hit. We’ve been vegetarians for a year and I wasn’t able to find a good meatball recipe. Being Italian this was hard, but your recipe is perfect! Thanks! I wanted to come back and post to tell you how much I enjoyed this recipe. Unmade it vegan and did not include the egg. As a result, my meatballs fell apart when I stirred them into the sauce. But it created this sort of ground meat texture which was good, too. The seasoning was very good. Thanks for posting! This was a great recipe! The Bean Balls were a little soft, but if they are browned in a little oil and then baked for about 30 minutes at 35o degrees. Added pasta sauce at the end. Very flavorful and fun. I just had these bean-balls for dinner and they were absolutely delicious. I haven’t been tolerating meat very well lately so we have consciously been eating mostly vegetarian dishes. My meat loving husband said he liked them a lot too but would appreciate them even better if they were slightly chewier (to give them more of a real meatball texture). Do you think this can be accomplished using old fashion oatmeal instead of bread crumbs? Or do you think they would fall apart once in the sauce? I answered my own question I guess. I added 1/2 cup quick oats in addition to the bread crumbs and they were marvelous!!! They were definitely chewier and my hubby even called them ‘PERFECT’!!! I would live to try these? What kind of breadcrumbs are used? Have anyone tried freezing the leftovers? Sandy, you could try crushed gluten-free crackers. That should do the trick! These are delicious! I make them all the time! My 3 year old always thinks they are cookies when they come out of the oven though, lol. He is not turned off by the savory cookies though – he loves his bean cookies. I even brought these to my husband’s family’s party, where they eat meat at every meal, and they all loved them too! So I went to make this recipe last night when I realized what I thought was a can of white beans was actually a can of chick peas. Since I was really gung ho on this recipe and had nothing else in the house for dinner I went ahead and made them with the chick peas anyway. They were excellent! I’ll try them with the white beans next time but thought I’d post this to let people know that chick peas work just as well. Thank you for sharing this wonderful recipe! That’s great to hear, Beth! Thanks so much for leaving your comment. It’s always great to know when variations work out so well. Hi Dara, I am always grabbing recipes off your site from here in Suffolk, UK. Tell me, how do you think this would come out with borlotti beans? I have a surplus… Thanks! Vegetarian means you don’t eat meat or any kind of animal. VEGAN means you don’t eat Dairy, eggs, or ANY animal/byproduct. Yes, you’re absolutely right! I had forgotten that Parmesan cheeses typically contain rennet, which is an animal product. Please see my response to the next comment. These look easy and delicious, my son & daughter in-law are vegetarians, so I am going to try these out on them and hey, they won’t hurt me or his dad to eat them too, we are meat eaters, but I bet they are that good that we won’t know the difference. How many meatballs does this recipe make ? Thanks for sharing. What do you think I can use instead of breadcrumbs? Do you think I could use quinoa or a nut/seed flour? Hi Jeffrey, are you looking for a gluten-free option? If so, I recommend using crushed gluten-free crackers. I hope that helps! Have you tried with other types of beans? This dish looks amazing! Could you please post a recipe of the marina sauce that you made? So delicious, but the not-meat-balls fell apart a little bit on us and sort of disintegrated into the sauce. I’m not sure exactly what we did (perhaps we should’ve let them cool a little bit more before we added to marinara sauce? ), but will continue to make and experiment with these. Great meatless alternative! Yummy flavor, and easy to make. The red peppers that you call for, are these the kind like in a jar or do you just roast some red peppers? I have a red bell pepper on hand, would that work? Thank you! Hi Marina, I apologize for taking so long to respond. I typically roast my own red peppers because it’s pretty easy to do and I prefer the flavor. That being said, you can certainly use the jarred ones found in most supermarkets. I’m so glad you enjoyed them, Carra! What a great idea to put them over zucchini pasta. Is there a good way to make these without egg if vegan? Hi Jenna, I haven’t tried this myself, but have read many times and heard from several vegan friends that “flax eggs” are a great substitute. Mix 1 tablespoon ground flax seeds with 3 tablespoons water to equal 1 egg. I hope that works out for you! Can these meatballs be frozen and reheated at other times? 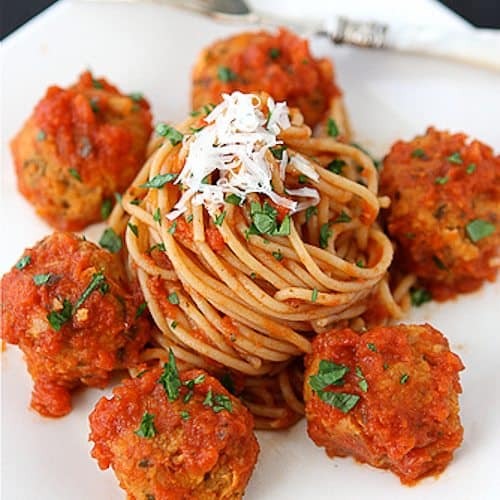 I want to make meatless meatballs ahead of time for quick spaghetti nights. Thank you! Sounds great. How many meatballs does this recipe make? I’d like to know so I can count calories… Thanks. Could you make extras and freeze them? Has anyone tried? robber from the medieval era. Just made this tonight! SO, SO GOOD! Wonderful recipe. It almost tasted like meat! I’m vegan but sometimes use eggs from our chickens so I made it for my meat-eater family and they really enjoyed it. I used cannellini beans as well as half a can of black beans in chilli sauce that was in a can which gave it an extra kick. Very yum, healthy and lots of protein. None of those methods are secret. Ooooh…I JUST made these for dinner tonight! SO delicious! I love the flavor of the red pepper and paired with marinara….so good! My whole family loved them! Did you roast the red bell pepper in the oven, then remove the skin and dice? This is how I usually use a roasted bell pepper, but that seems like it might be a little too moist for this recipe? I haven’t tried it yet, but in your picture your red bell pepper looks not quite the same as how my roasted bell pepper looks and I just want to follow this recipe as close as possible! Also, did you incorporate the entire bell pepper in the food processor? P.S. 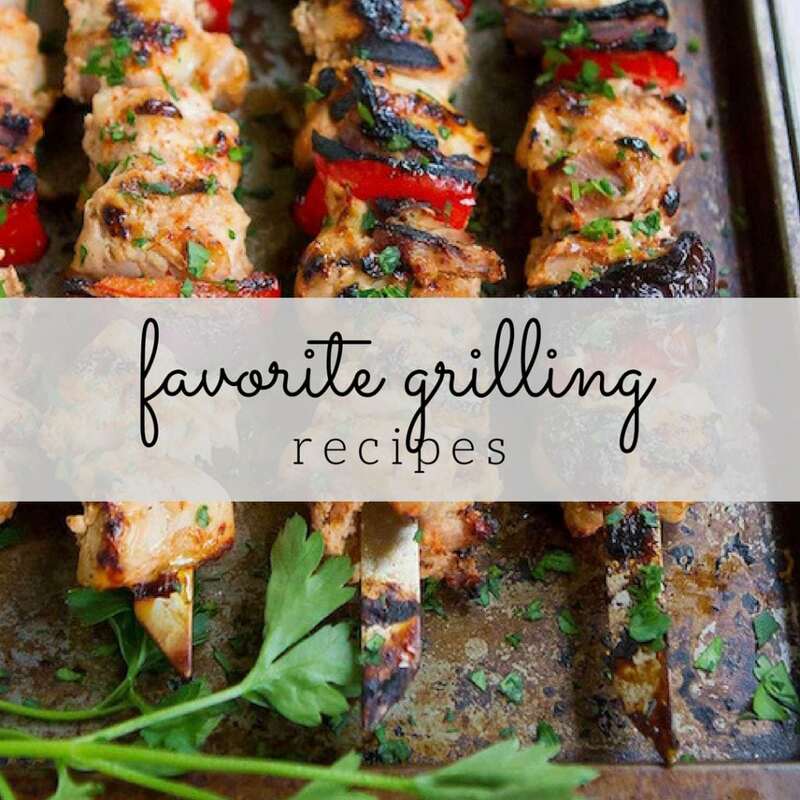 I’m cooking these for dinner tonight and CAN’T wait to try them!!!! Hi Kate – yes, that is exactly how I roast my peppers, too. Before roasting, I cut the peppers in half, remove the seed and membrane, then roast skin-side-up. I don’t find that I have a lot of moisture. Here’s my photo tutorial on roasting bell peppers. Once roasted, skinned and chopped, I throw them into the food processor. If you find that the meatballs are too moist (because every climate seems to produce a slightly different result), just incorporate some extra breadcrumbs. I hope you enjoy the meatballs! I haven’t tried freezing them, so am not sure. I’d be a bit concerned about them falling about when defrosted. Hello Dara, I made this dish today and it was delicious. My husband really like it.. The next time I make this, I’ll add water chestnuts for crunch. Thank you so much for sharing. We’re wheat, corn and potato free. Any ideas for substitutions for the bread crumbs? I made these using gluten-free Italian breadcrumbs and they were incredible! I subbed a pesto sauce for the tomato sauce, as I cannot eat tomatoes, and the combination was great! I can’t wait to eat the leftovers for my lunch today.